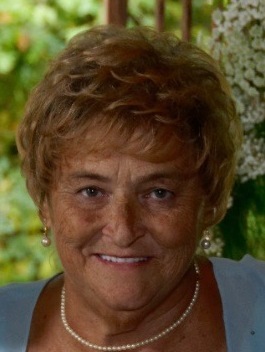 Obituary for Pamela D. (Armbrust) Ciappetta | Giunta-Bertucci Funeral Home Inc.
Pamela D. Ciappetta, 68, of New Kensington, passed away Thursday, Dec. 6, 2018, at Good Samaritan Hospice, Wexford. She was born Jan. 28, 1950, in New Kensington, to the late William and Lucy (Casella) Armbrust. She was the wife of the late Franchino Ciappetta. In addition to her parents and husband, she was preceded in death by a brother-in-law, Egidio Ciappetta. Her life revolved around her beloved grandchildren and her family. She enjoyed bingo, visiting the casino, cooking and her grandpuppies, Vito and Benson. She is survived by son, Carlo (Sarah) Ciappetta, of Pittsburgh; daughter, Antonella (Andrew) Polk, of Mt. Lebanon; three grandchildren, Luciana, Nicolas and Marco Polk, a sister, Billie Ciappetta; and two brothers, Ted (Sandy) Armbrust, of East Deer, and Todd (Amy) Armbrust, of Cheswick. She is also survived by nieces and nephews; and her supportive and loving brother and sisters-in-law. Friends will be received from 2 to 6 p.m. Sunday in the GIUNTA-BERTUCCI FUNERAL HOME INC., 1509 Fifth Ave., Arnold, PA15068, JohnPaul Bertucci, owner/supervisor. Funeral liturgy outside Mass will take place at 11 a.m. Monday in the funeral home. Burial will be in Union Cemetery, Arnold. To leave an online condolence, visit www.giunta-bertucci.com.